How to tie the Beadchain Seaducer with Double Loop Weedguard. 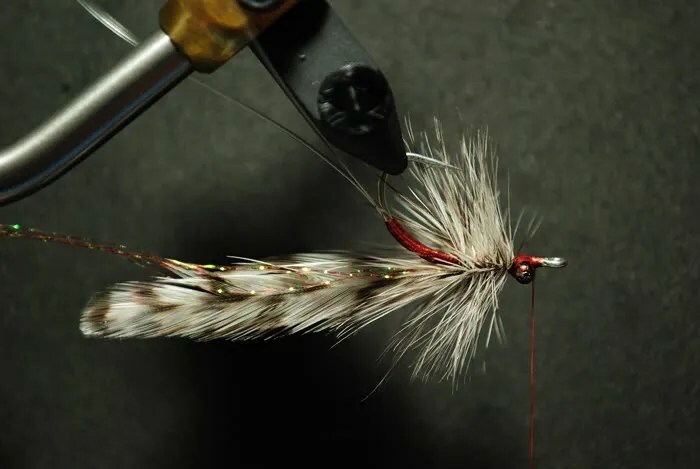 In fly tying one of the first patterns most people learn is the Seaducer. 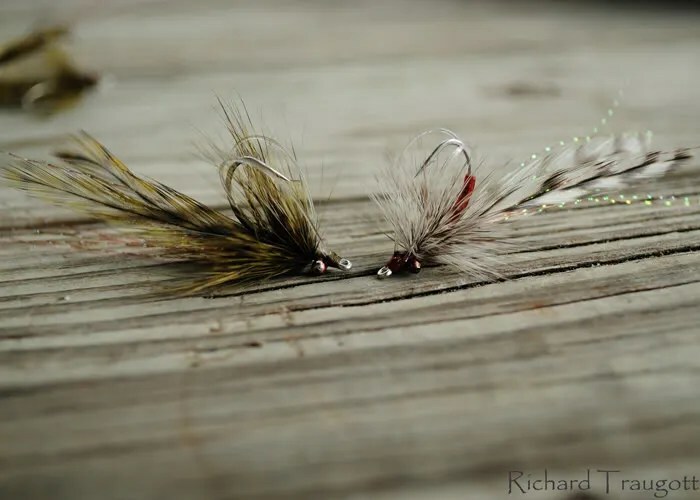 It’s fairly simple, quick to tie, lightweight, easy to cast, and very productive. 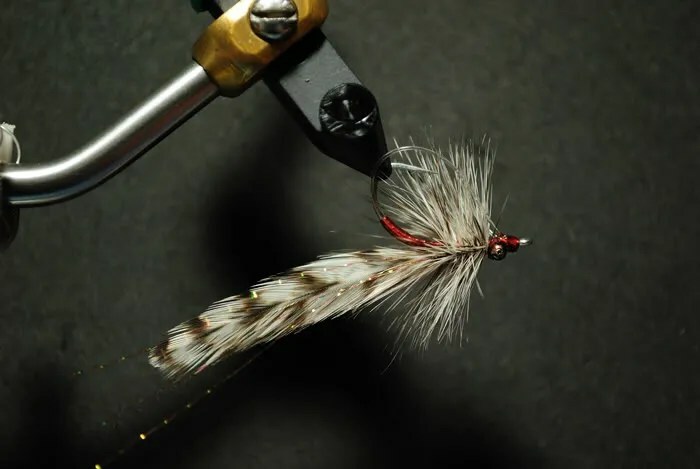 I got an phone call a couple of weeks ago from a fellow fly fisherman saying that they have been having great success on the fly pattern but they were snagging a lot of loose grass even with a double post weedguard. It seems every year at this time there is a lot of floating debris in the water. You lead the fish a little bit and by the time you strip the fly in front of the fish it is jammed up with grass. 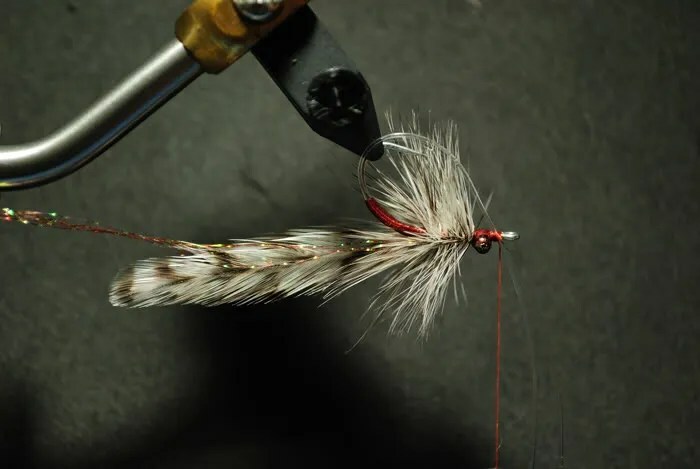 It’s one of the most frustration situations in Fly Fishing is knowing that your fish will eat a fly, but you can’t make the presentation. You don’t want to leave your fish and go somewhere else. So you pound away at them until you give up all together. So the question is how do you make your fly even more weedless? Enter the Double Loop Weedguard. 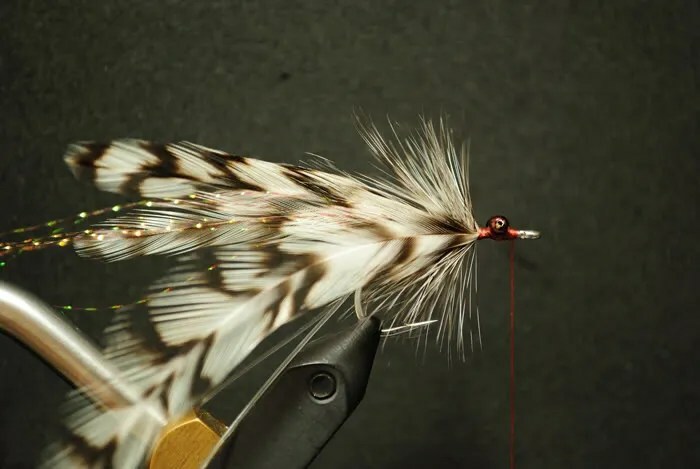 It can be added to most inshore patterns and it does not affect the presentation or motion of the fly pattern. Step 1: Start your thread in the middle of the shank. Wrap it back to just beyond the bend of the hook. 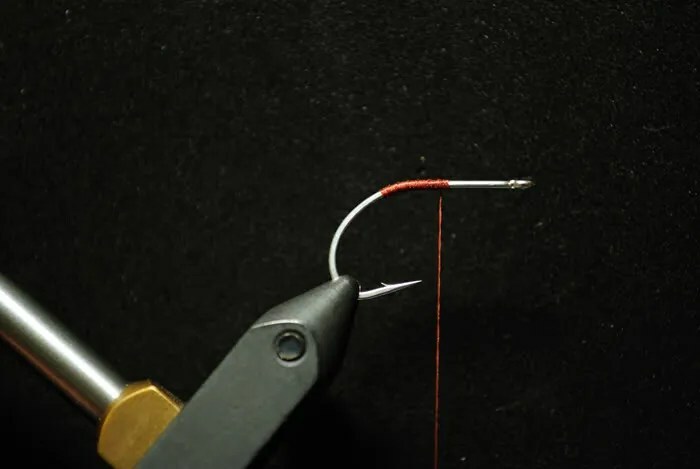 Work your thread back to just before the bend of the hook. This provides a secure foundation for your weedguard. Step 2: Attach 2 strands of 30lb Mason Mono, about 5” long by using four or five wraps. 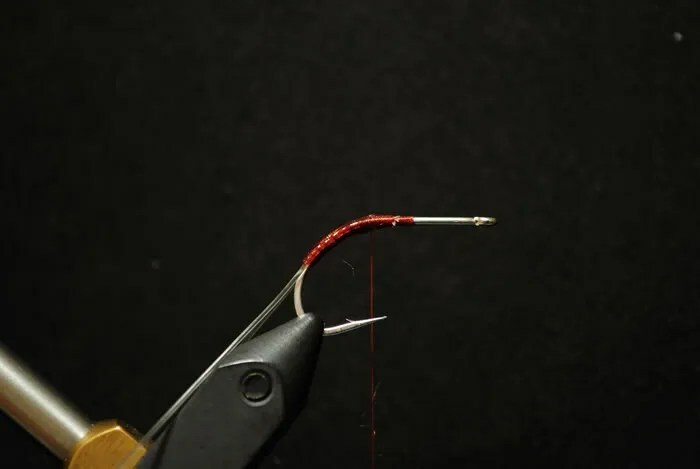 Move the mono to the sides of the hook, and pull the mono until the tip is at the start of your wraps. 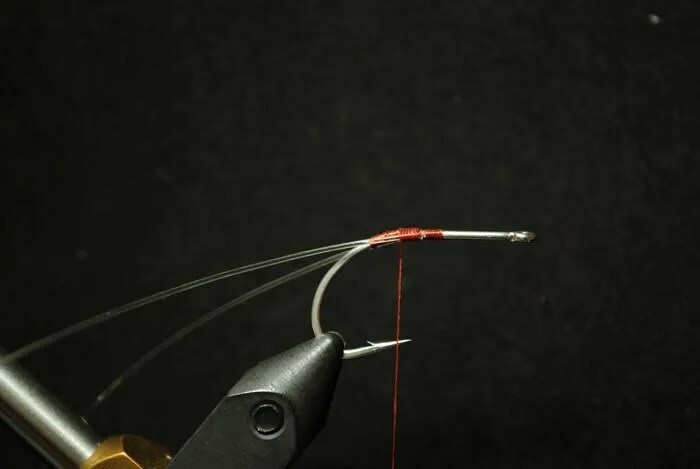 Step 3: Tie in the mono by wrapping your thread to the middle of the bend of the hook, and back up. Secure with your adhesive (I use clear cure). 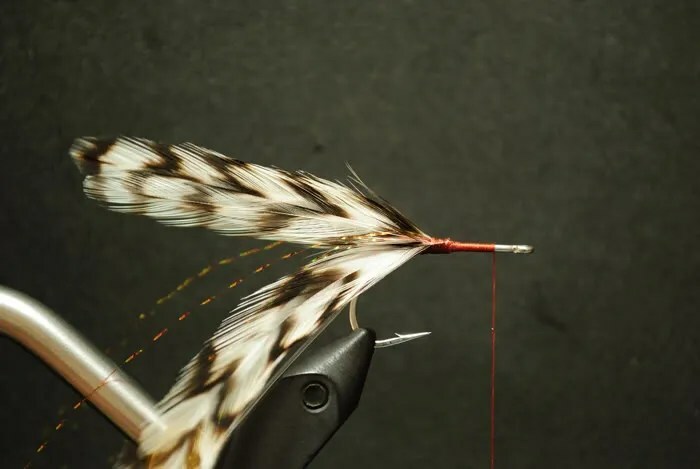 Step 4: Tie in two barred hackles. The overall length of the fly should not exceed 3”. 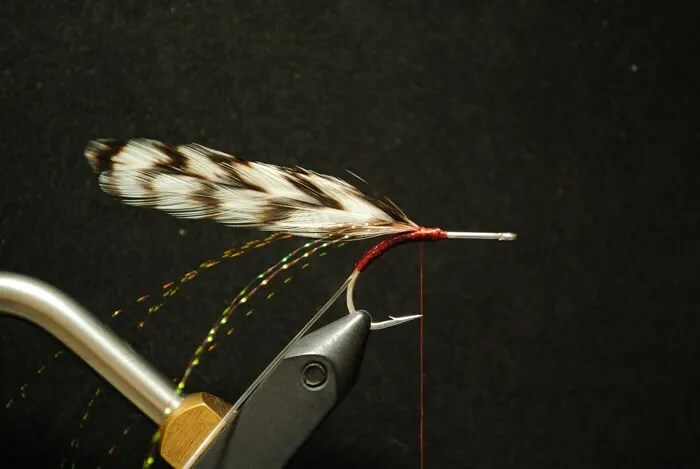 Step 6: Attach a barred hackle so you can palmer it forward. Wrap your thread forward. Palmer the hackle forward and secure. Most likely it will not go all the way forward, this is ok. 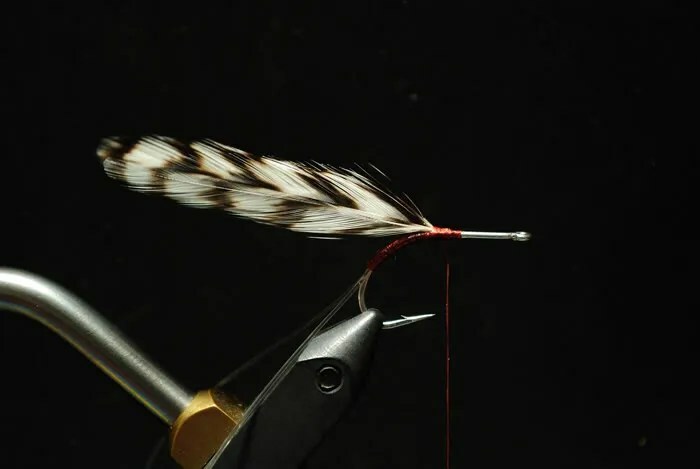 Step 7: Attach a second barred hackle and wrap your thread forward. Attach your beadchain eyes far enough back from the eye of the hook so you can secure your weedguard. Step 8: Palmer your hackle forward to the beadchain and secure. Go ahead and put a drop of clear cure on the eyes. Step 9: Bend your mono forward and pinch on each side of the shank. Secure with three or four turns. Step 10: Move the mono around until you get it in the position that you would like. You need to make sure you loops are large enough to cover the point of your hook. Trim the ends of your mono. Pull the loops until the end of the mono is at your thread. Tie in using a couple more turns and whip finish. 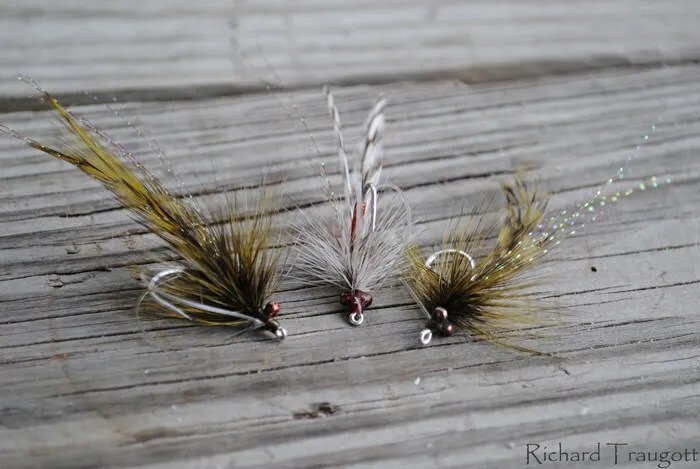 As a fly tier I can’t only tie one!